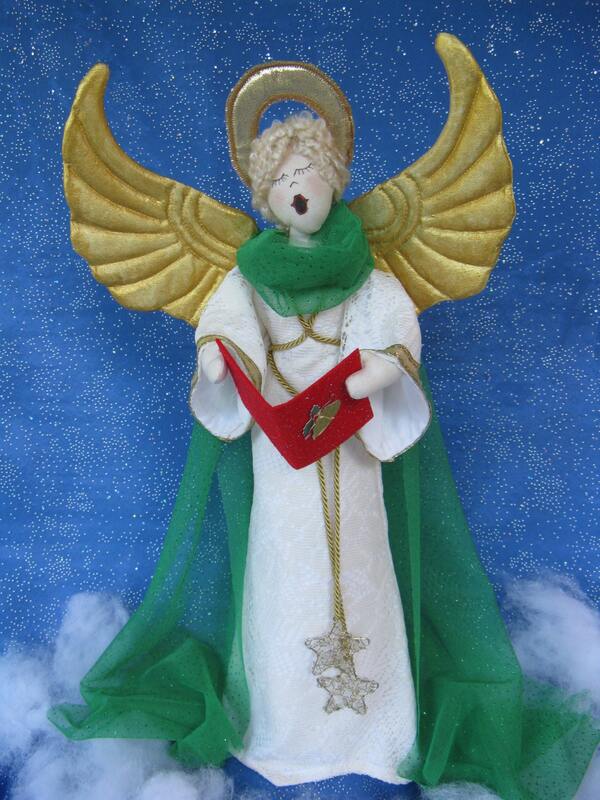 19" Free Standing Christmas Caroling Angel. This wonderful e-pattern design will allow you to share the joys of the Holiday Season throughout the year. 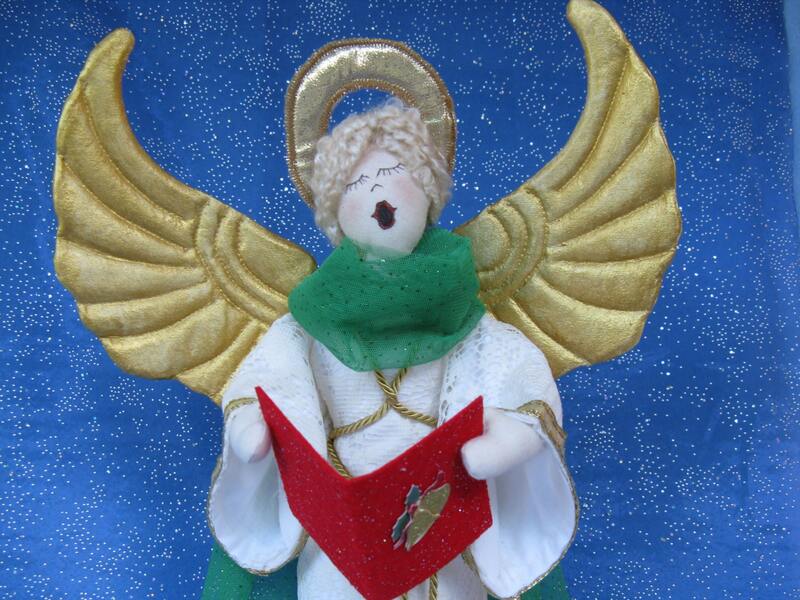 A Beautiful Angel singing the songs of Christmas. 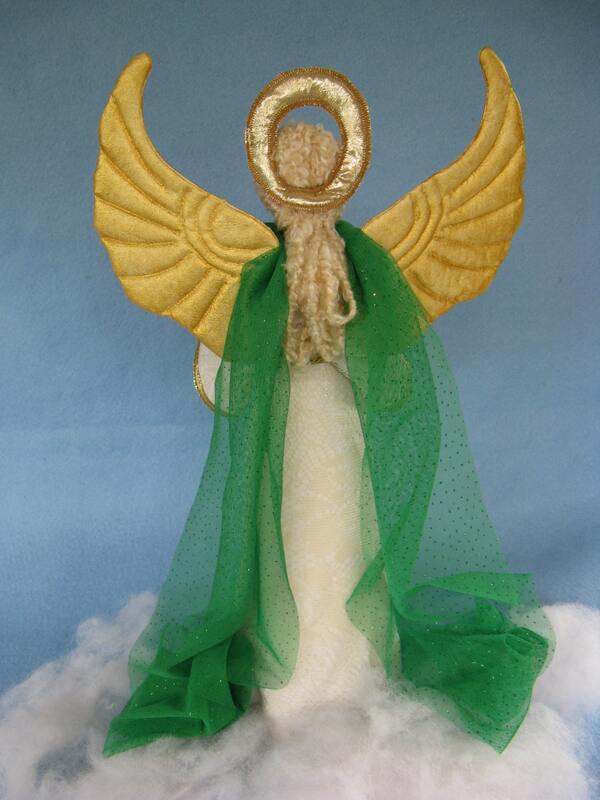 PDF download comes complete with easy to follow instructions, doll pattern, clothing pattern and suggested materials list. 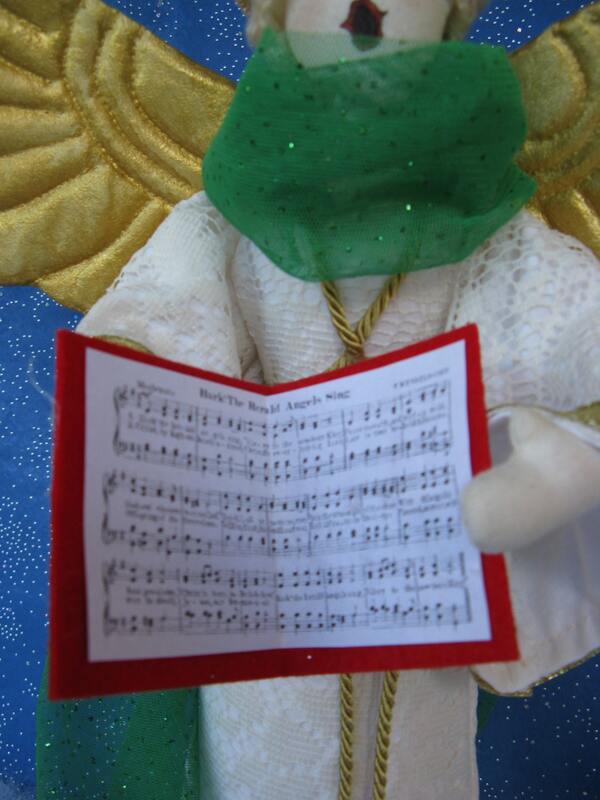 There is even a copy of "Hark the Herald Angels Sing" sheet music to add to the doll's song book.